Friday, April 08, 2016	1:00 pm - 4:00 pm	 Tickets: Free! 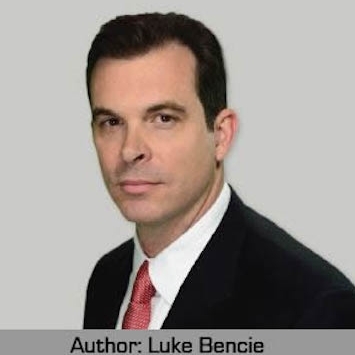 Join us at the International Spy Museum for an in-store book signing of Among Enemies Counter-Espionage for the Business Traveler by Luke Bencie. For nearly 20 years, Luke Bencie has traveled to more than 125 countries on behalf of the U.S. intelligence community, as well as for the private defense industry. He has experienced - firsthand and sometimes painfully - the threat of espionage. He has seen the lengths to which foreign intelligence services and other hostile global competitors will go to steal American business secrets. Mr. Bencie currently serves as Managing Director of Security Management International, LLC, a security-consulting firm in the Washington, D.C., area. A native of Detroit and a graduate of Michigan State University and The George Washington University's Elliott School of International Affairs, he frequently lectures to defense contractors, U.S. government agencies and Fortune 500 companies on how to protect themselves and their intellectual property from espionage while traveling abroad. He lives in Northern Virginia.